Earlier this year (April-ish), Xiaomi announced its first gaming smartphone – the Xiaomi Black Shark. 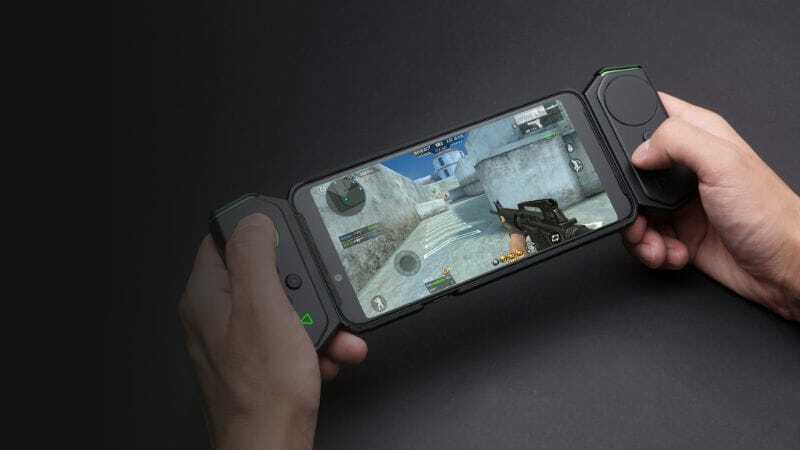 Now, 6 months after the Chinese company’s first gaming device, Xiaomi announces the Black Shark Helo as a sequel. 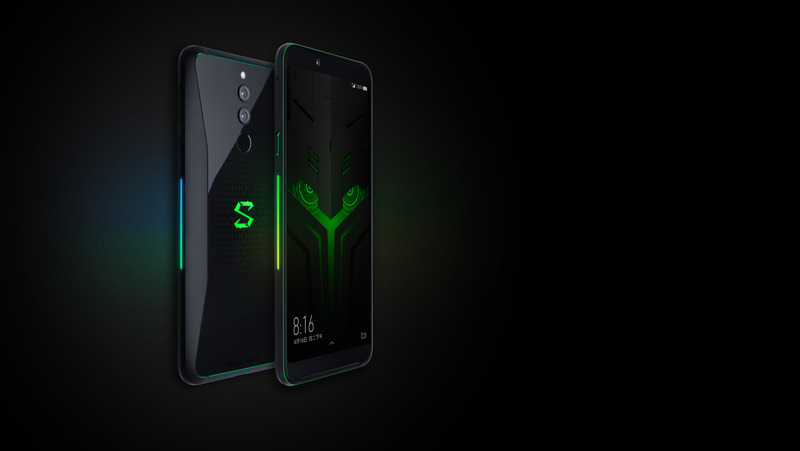 Also codenamed the Black Shark 2, the device sports minor upgrades in the aspects of aesthetics, internal configurations, and other hardware features to give the device more “game-like” smartphone appearance. Compared to its predecessor, the Black Shark Helo comes with quite a number of interesting features and improvements, particularly in the aspect of design. On the inside, the device is likewise mind-blowing as it sports a colossal 10GB of RAM — making the Xiaomi-backed gaming flagship the first ever smartphone to rock RAM capacity as high as 10GB. There are, however, two other RAM variants of 6GB and 8GB respectively. Storage-wise, Xiaomi is offering the Black Shark Helo in 128GB and 256GB storage options. Per processor, the Xiaomi Black Shark Helo boasts of the same Qualcomm Snapdragon 845 SoC and Adreno 630 GPU as its predecessor. The CPU comes with the same number of (Octa) cores, maximum clock speed (2.8GHz), and a vapor chamber cooling system in place for temperature regulation durimg heavy gaming. The only difference seems to be the introduction of a new 10GB RAM model. In case you don’t know, Xiaomi says the devices Vapor Chamber cooling can bring about a temperature reduction of 8 degrees Celsius and ultimately lead to improved performance during gaming. The body of the Black Shark 2 has been modified to have an aesthetic that easily gives it out as a gaming device. There is new glowing “S” logo on the rear, alongside the same dual camera configuration (12MP, f/1.8; 20MP, f/1.8) like the first Black Shark. The glowing back logo and side strips are RGB LED-illuminated and can be customized. The biggest modification made to this device, however, is the display. Xiaomi swaps the LCD panel used on the first-generation Black Shark for a bigger 6.01-inch AMOLED panel with FHD+ (1080 x 2160 pixels) resolution and 60Hz refresh rate. In company of the display are front-facing stereo speakers and a 20 MP, f/2.2 selfie camera. Everything about the Black Shark Helo’s design seem perfect but the absence of a 3.5mm headphone jack might not go down well with some (or perhaps, many) gamers as you’d be needing USB-C accessories to connect with your gaming headphones. Powering the device is a 4,000 mAh battery with Quick Charge 3.0 support. The device comes with Gamer Studio which allows users create and customize gaming profiles for every games; the app allows you to eat the device’s display, network, CPU and other settings for better gaming experience. There is also a key on the side of the device that allows users activate “Gaming mode” on the Black Shark Helo. The 6GB RAM model of the device will ship out-of-the-box with one analog stick accessory, likewise the 8GB RAM model. The 10GB RAM Black Shark 2, on the other hand, will come with two controllers that you can attach to both sides of the phone and use simultaneously.